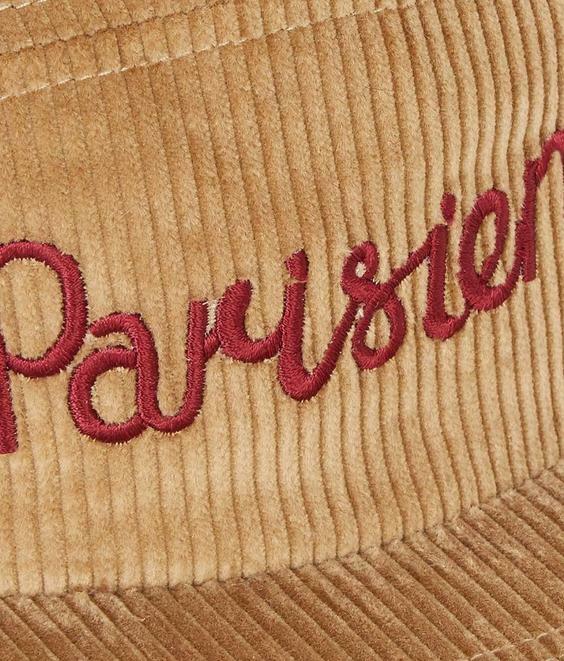 This five-panel MAISON KITSUNE baseball cap in corduroy features the embroidered typography "Parisien" and two eyelets on the top for ventilation. An adjustable strap in the back lets you customize the fit. 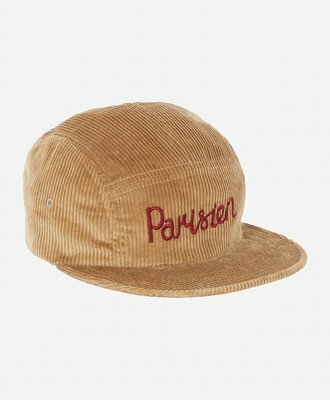 With its flat bill, this cap adds a modern touch to any outfit.